[Jesus said,] "But the time is coming — indeed it's here now — when true worshipers will worship the Father in spirit and in truth. The Father is looking for those who will worship him that way." Remember playing hide and seek as a child? Part of the fun in playing was being found. Today, Jesus reminds us that the Father is seeking us as we worship him. In the previous verse, Jesus tells us that the heart of worship is honoring our Father for the salvation he brings us. When we approach the Father to worship him, we should understand that he is rushing to meet us and welcome us into his holy presence. 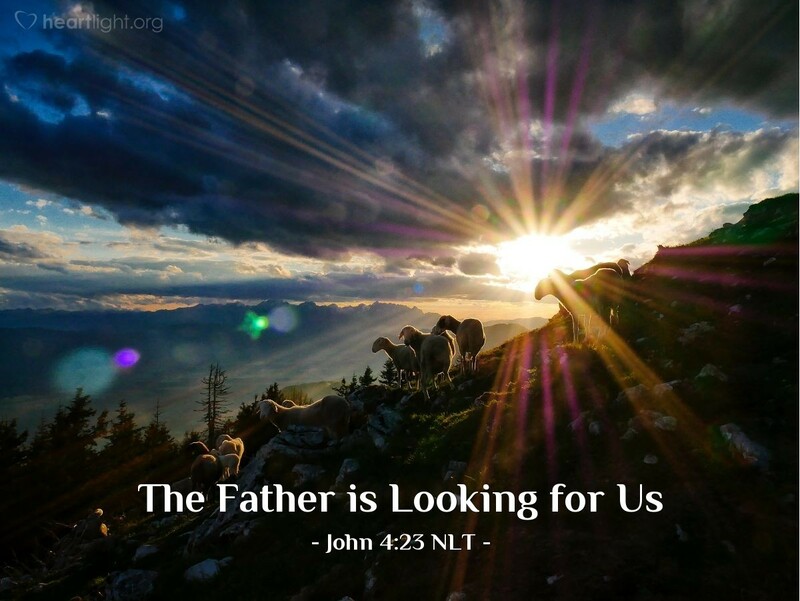 The Father seeks us. That is truly an incredible thought. But then, isn't that the image we have of his coming to meet with Adam and Eve in the cool of the garden (Genesis 3:8)? The Father longs not only to receive our worship but also to be with us. What incredible grace! Father, I confess that I cannot adequately understand your majesty and holiness. Your greatness humbles me. To know, dear Father, that you run to meet me in worship totally overwhelms me. Thank you for loving me so completely. May the words of my mouth and the meditations of my heart and the works of my hands be pleasing in your sight. Accept my praise in Jesus' holy name. Amen.